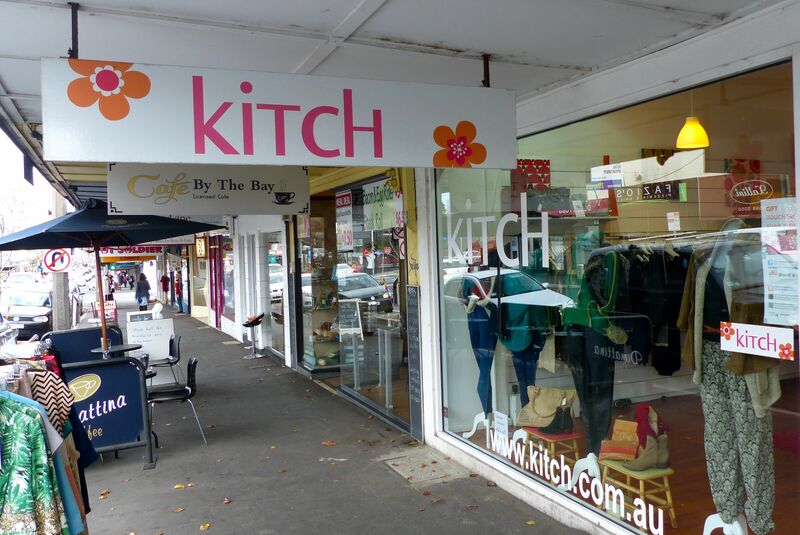 Let’s take a trip down south of Melbourne, where KITCH lives, right in the heart of the Hampton shopping centre. 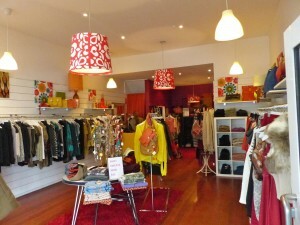 There’s so much to love about this store, but let’s start with its cheerful and inviting interior design. 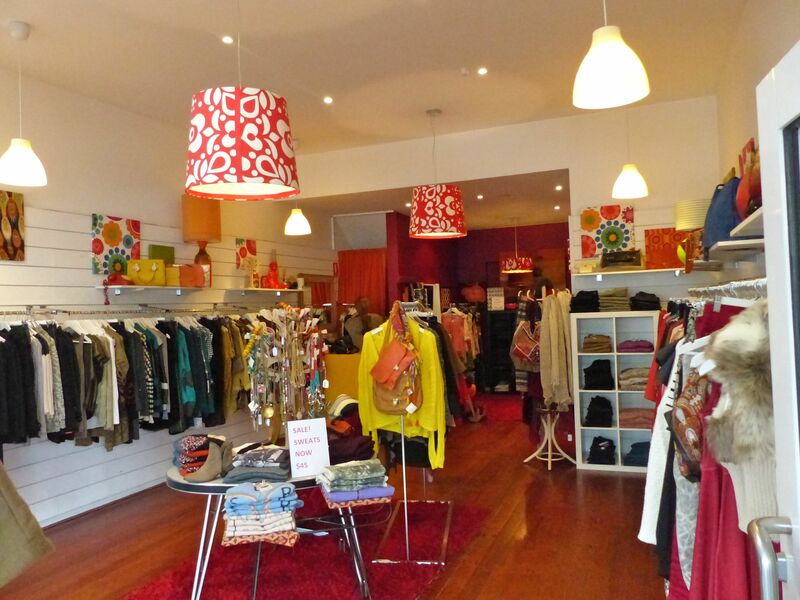 Bright prints and light fittings, with everything from handbags and scarves to fashion and jewellery, laid out within easy range for curious shoppers. I was lucky enough to have my buddy, Rochelle Nolan, come along today and model for us, and yes, we had heaps of fun putting outfits together. That’s what’s so wonderful about REAL shopping – you can make a day of it with a girlfriend – which is so much more enjoyable than pushing buttons on a computer. We both loved the boots she tried on – great for daywear and the versatile colour goes with everything. 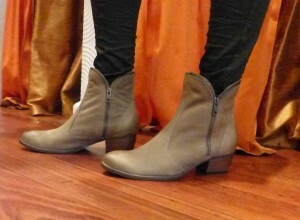 And while Melina stocks a range of dresses, her primary focus is dressing women for casual daywear. 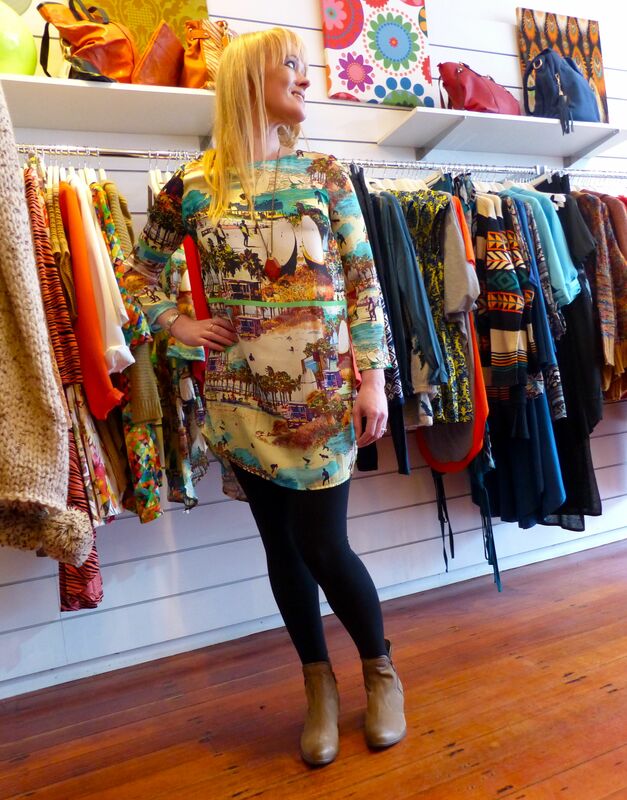 So there’s plenty of cosy knitwear to choose from, and Melina has a great knack for layering too. ‘Eighty per cent of our stock is casual, but we call it funky casual,’ Melina said.